I have installed Elementary OS on my LVM partition alongside Fedora. Since I already have a boot partition with grub installed I skipped the boot-loader installation by running the ubiquity installer with -b option. 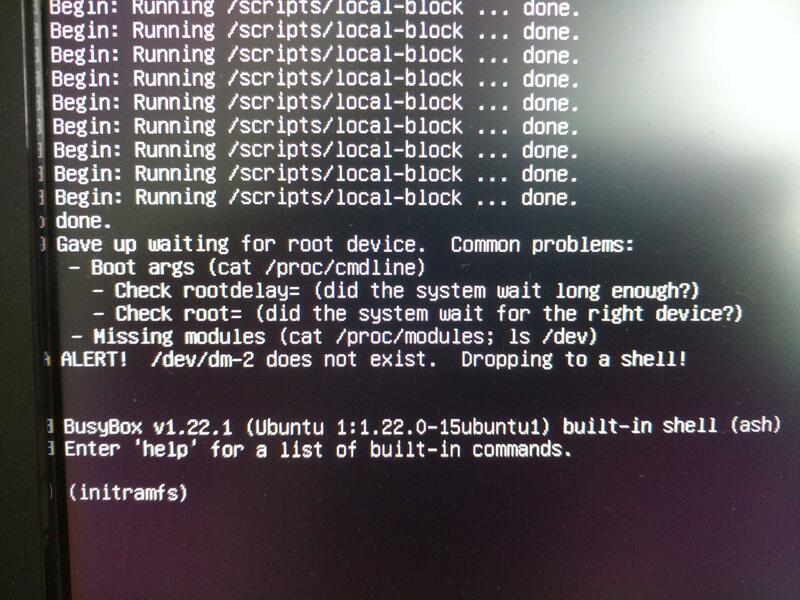 The problem is that when I select "elementary OS" grub menu item, booting stops with error: ALERT! /dev/dm-2 does not exist. Dropping to a shell! In the "rescue" initramfs shell checked that /dev/dm-2 indeed does not exist until I run vgchange -ay. AFAIK ... I do not think you can do what you are trying to do with LVM ... LVM has a catalog file that exists in the OS you are running ... and elementary knows nothing about this LVM volume catalog in fedora ... Assuming that you just want to use LVM for both distros ... you would need to have your drive partitioned with another partition for a private volume for Elementary's LVM "volumes" ... please note in this dual boot configuration ... that reading an LVM "volume" on one system from another's LVM is difficult at best and is probably impossible. To share part of the disk to both systems I would suggest a plain partition as maybe ext4 formatted that both can read. Sorry about the format of this answer ... still not comfortable formatting text in this. In my experience, try to specify root parameter with /dev/mapper/fedora-elementary.